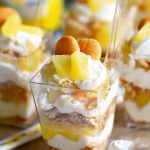 These Mini Pineapple Cheesecake Trifles are loaded with pineapple flavor! 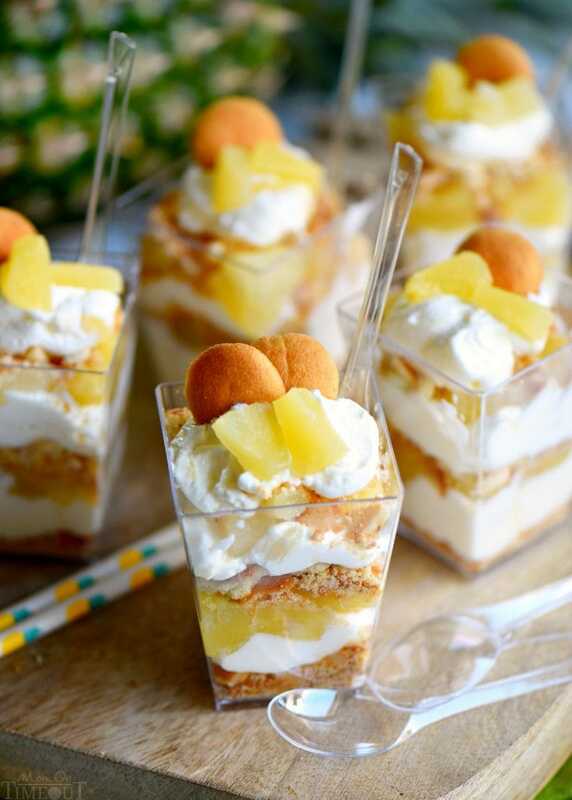 Perfect for an after-school snack, dessert, or party! Our house has slowly become the central place for neighborhood friends to hang out after school. I keep them outside as much as possible but we always have a few kids that trickle indoors throughout the afternoon. I’m pretty sure that number will only increase as the days become shorter and the weather cooler. 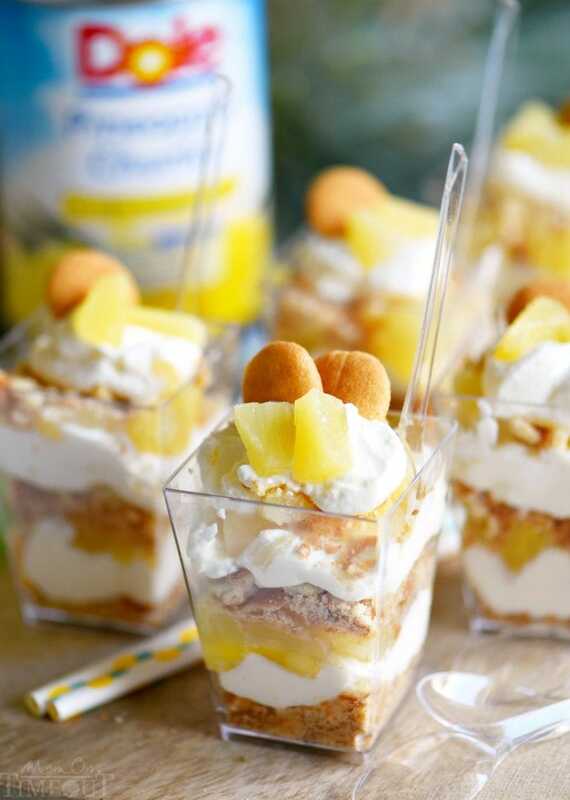 Earlier this week I surprised all the kids with these Mini Pineapple Cheesecake Trifles. 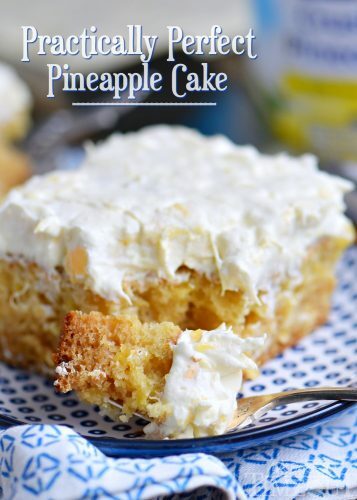 They are super simple to make and really, really delicious. You guys. They INHALED them. I saved one for myself for dessert for later and was super thrilled with the flavor. 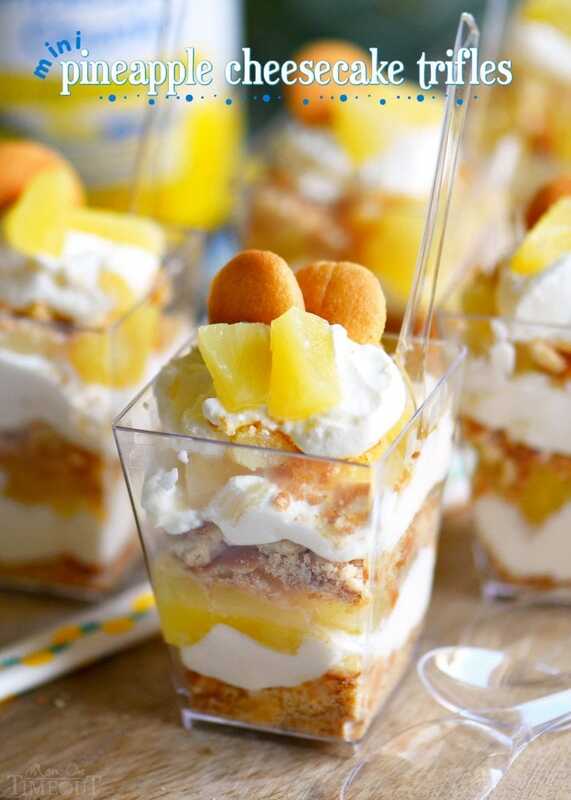 Not only do these trifles make a great snack, but they would be absolutely adorable for a party. Just double or triple the recipe as needed. 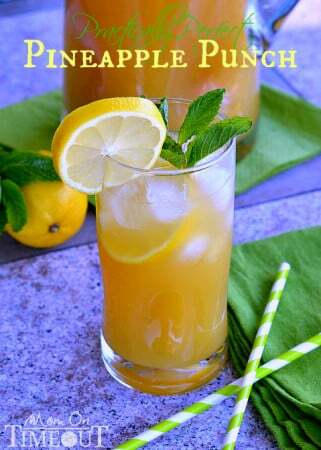 Strain the pineapple juice and set aside. 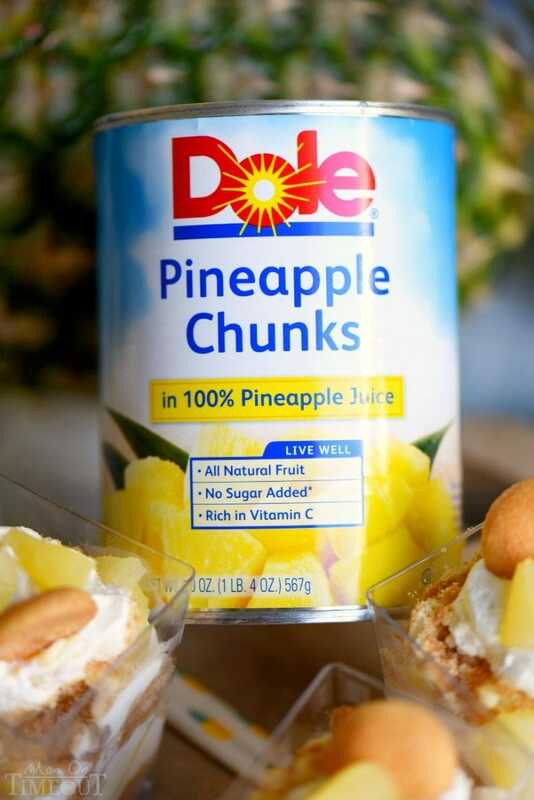 Quarter pineapple chunks and set aside. 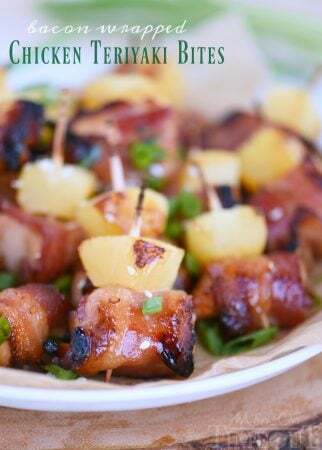 Beat in 2 tablespoons of reserved pineapple juice and 1/2 cup pineapple chunks. 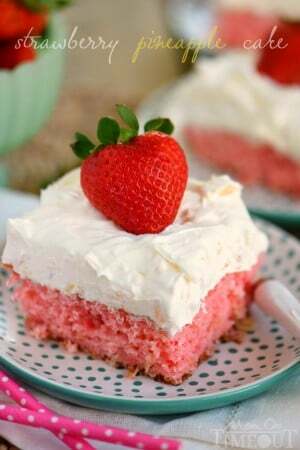 Fold in whipped topping or whipped cream. 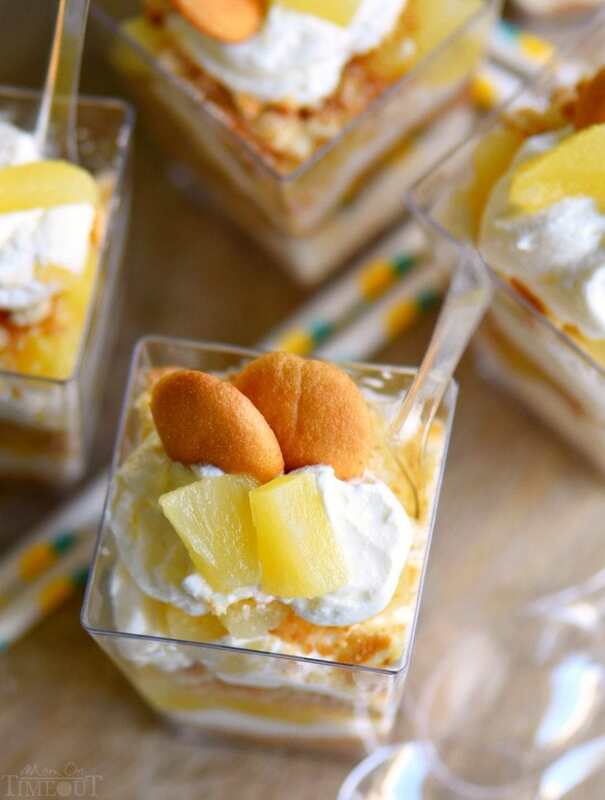 In small jars or dishes, layer one tablespoon of crushed vanilla wafers, one to two tablespoons of pineapple cheesecake, one to two tablespoons of pineapple chunks and repeat until the jar or dish is filled. 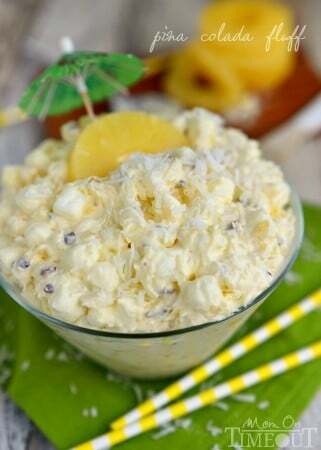 Top with a mini vanilla wafer and a few pieces of pineapple. If using whipped cream, you may want to sweeten the cheesecake mixture with a bit of powdered sugar. It looks so delicious! I have to give it a try this weekend!